​Sara is insured to teach adults in the USA and has her residence "green card", which means she can work anywhere in the USA. She is also a British citizen, so can work anywhere in Europe. Sara has a standard contract available to employers upon request, and is happy to consider your standard contract. Where possible please include a link to the home page of this web site and Sara's home page for Amazon for promotional purposes. Here are a range of Biographies for you to use to help promote your event. Sara Shrapnell spent 12 years teaching belly dance in the UK before moving to the Bay Area of San Francisco. Her classes are known for their humor, detailed breakdowns and cultural context. She adapts her lessons to suit the dancers, their needs and aims. Students who have studied with Sara have gone on to teach and perform in all styles of belly dance and many have made their living through performance or teaching. Sara’s books “Teaching Belly Dance” and “Becoming a Belly Dancer: From Student to Stage” are available on Amazon. ​Sara Shrapnell first appeared on stage as a bump during “Songs from the Shows” in Bridgwater, UK. She studied ballet from three and spent her childhood weekends touring East Anglia as part of a disco dancing troupe. She attended her first belly dance class in 1992, training at first with Tina Hobin and then Afra Al Kahira. In 2000 she graduated from the Al Kahira school of Middle Eastern Dance which included a City and Guilds qualification in teaching adults. She then mentored others as they completed the course. Her classes are known for their humor, detailed breakdowns and cultural context. She adapts her lessons to suit the dancers, their needs and aims. Over the years she has taught more than four thousand lessons and performed as a soloist in a huge variety of settings. She has organized workshops, dance days and theater shows in addition to managing three troupes. Students who have studied with Sara have gone on to teach and perform in all styles of belly dance and many have made their living through performance or teaching. 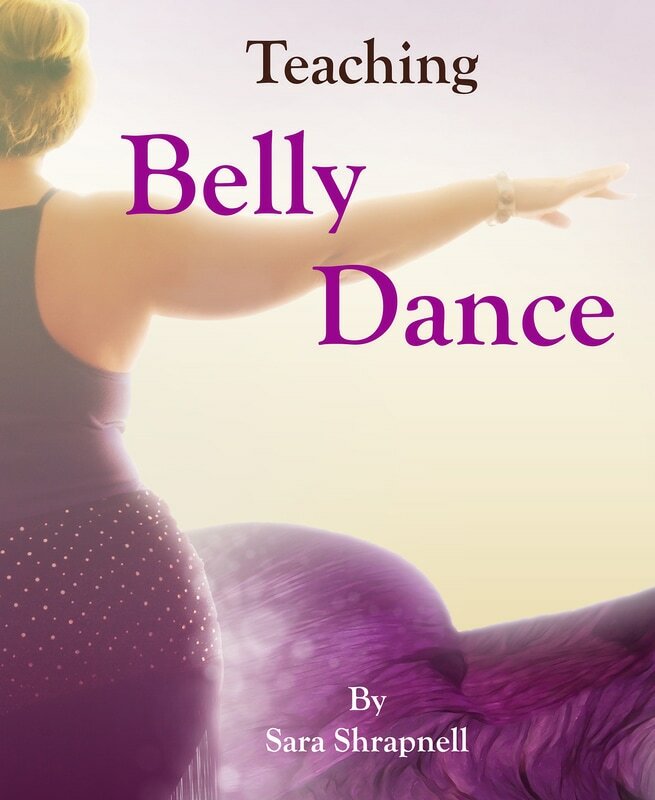 Currently teaching in Pleasanton, Dublin and Livermore in the San Francisco Bay Area, Sara’s books “Teaching Belly Dance” and “Becoming a Belly Dancer: From Student to Stage” are available on Amazon. ​Sara Shrapnell attended her first belly dance class in 1992, with the aim of toning up and regaining her fitness after the birth of her son. Instead, she discovered a dance form that pulled at her heart much more than the ballet and disco lessons of her childhood. She met amazing people and fell in love with the UK belly dance scene. Her weekly class soon turned into two, four, and then six classes a week, first with Tina Hobin and then with Afra Al Kahira. In 2000 she attended the Al Kahira School of Middle Eastern Dance (ASMED) teacher training course, which includes study with City & Guilds (a leading UK vocational education organization,) to gain qualifications in adult education as well as belly dance learning. Sara took on established classes, and approached local gyms and councils. She quickly expanding her teaching to twelve classes a week. She graduated from ASMED in 2003 and continued to work within the organization to mentor other teachers. Together with Emma Pyke, she set up Mersin, a professional troupe composed of local teachers and performers. She also directed a number of student troupes, including Nashida Abla and a tribal fusion group, who performed in a wide variety of venues. Sara is an accomplished event hostess. She hosted a popular “Day of Dance,” which ran two or three times a year for ten years. Sara has planned many stage shows, workshops, and hafla for her students. She has hosted national and international belly dance stars for workshops and gala shows. For five years she was a member of the Wessex Arabic Dance Network committee, an organization committed to bringing high-quality events to the wider community. In 2011, Sara closed her UK classes and relocated to the San Francisco Bay Area. She established belly dance classes in Pleasanton, Dublin, and Livermore. In short order she formed a new troupe, Neshee Dolu, who now perform at local, regional, and national events. Sara has become an active member of the thriving San Francisco belly dance scene. Her first book, Teaching Belly Dance, was published in 2014. She took the knowledge she had gained from teaching more than four thousand belly dance classes and wrote a book full of helpful advice, hints, tips, and tried and tested solutions. 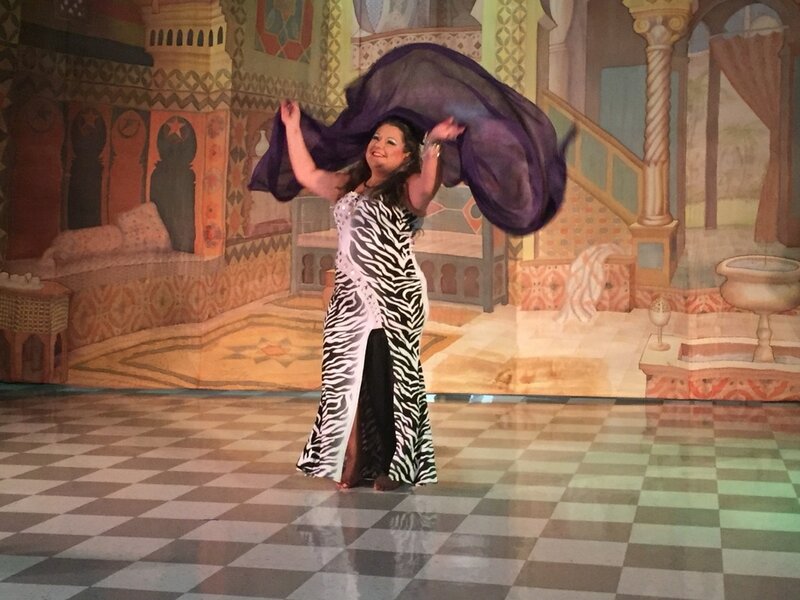 In 2016 she published “Becoming a Belly Dancer: From Student to Stage” a Stagecraft Handbook, co-written with Dawn Devine, Alisha Westerfeld and Poppy Maya. The aim of the book was to be a teacher in absence for everyone making the journey from belly dance classes to the stage. Her classes are known for their humor, detailed breakdowns, and cultural context. She adapts her lessons to suit the dancers’ needs and aims. Students who have studied with Sara have gone on to teach and perform all styles of belly dance. Many have gone on to make their living through performance and/or teaching. She continues to support dancers and teachers through one-on-one mentoring in person, and via online and private lessons. Sara is the proud mother of three and has also written a novel. Here are the product details for Sara's two books. ​The photos below can be used without credit. If you wish to share a different spread or photo from either book, for review or promotional purposes, please contact Sara for a high quality screen grab. 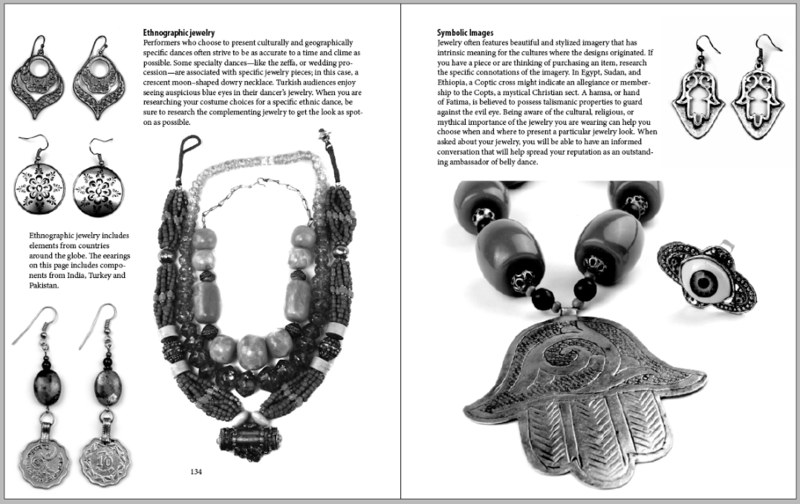 ​Becoming a Belly Dancer – The stagecraft handbook for belly dancers of all styles and all levels. Packed full of helpful advice, learned in the trenches tips and guidance for your belly dance journey. Available through Amazon.